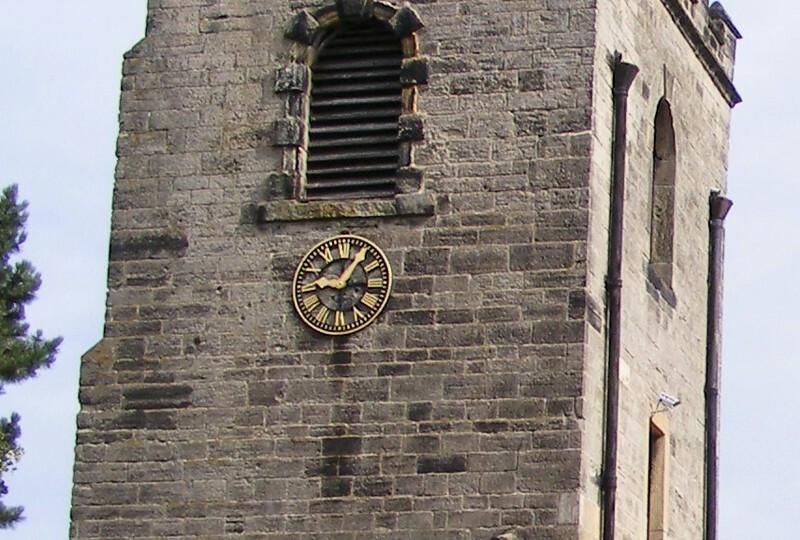 The clock, dated 1812, was originally in Farnsfield Church. It is a clock with a single dial which has to be wound every 24 hours. 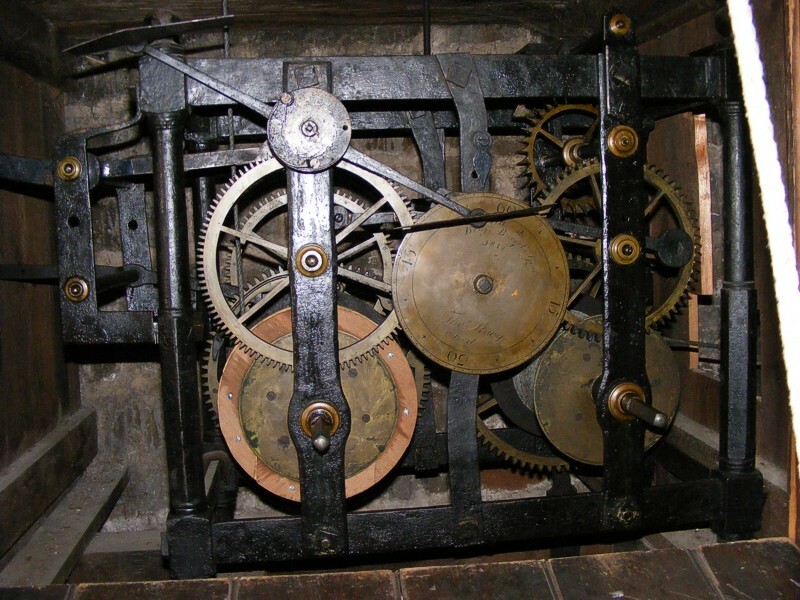 When Farnsfield replaced it in 1879 by an eight day, two dial clock, it was sold for £20 to Calverton Church, the bill being defrayed by Samuel Potts of Mansfield, formerly of Calverton, and at the same time the tenor bell on which the hours are struck was bought by subscription. Built into the west wall of the clock chamber are a number of Norman carved stones.